Share the McCloud Hotel & Restaurants with those you love! Gift Certificates make a wonderful surprise for friends, family and co-workers who are visiting Mt Shasta or are lucky enough to live here. You can purchase a gift certificate for lodging as well for dining or recreation packages. Who doesn’t want a gift of time away or a special occasion dinner. Redeemable for a stay at the McCloud Hotel or dining at Sage Restaurant or Axe & Rose Public House, these gift certificates never expire and are perfect gifts for the Holiday’s, Mother’s Day, Birthday’s, Anniversaries and more. Minimum purchase of $50. 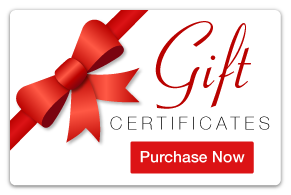 If you would like to purchase a Gift Certificate, please complete the form below. Someone will get back to you within 24 hours to process your payment. The certificate can be emailed or mailed to you or the recipient. If you would prefer immediate assistance, please give us a call at 800-964-2823 or 530-964-2822.